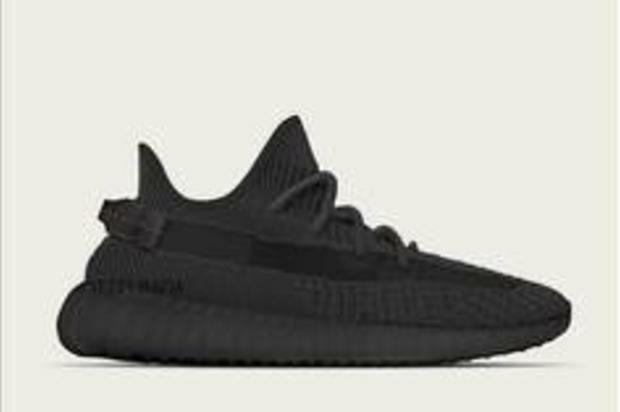 Better images continue to come out of the triple-black 350 V2 colorway. Kanye West’s Adidas Yeezy Boost 350 V2 has moved the needle more than any shoe in sneaker culture over the last three years. While some of you may roll your eyes at that statement, there is no denying just how important this shoe is to the game right now. Just go on StockX or GOAT right now and you’ll notice that the top selling shoes are always Yeezys, particularly the 350 V2. While we’ve seen a plethora of colorways of the shoe over the years, we’ve never actually seen a triple-black model. Adidas is looking to change that as it appears as though an all-black colorway has been everything but confirmed. Even a release date of June 22nd has been rumored by multiple outlets. Now, Instagram user @hanzuying is here with some brand new detailed images of the sneaker that are surely going to turn heads. The images which can be found below, show a lot more of the details that we’ve already seen. The pattern is very similar to that of the “Static” model, while the back had red stitching, much like the “Pirate Black” colorway of the 350 V1. It looks as though the laces will be reflective, and the stripe on the side is a translucent black.